There are more pro-reproductive health lawmakers in Congress than ever before, and while that's incredibly exciting, I worry that the promise of a new majority is distracting us from the very real threats we still face to sexual and reproductive care. Right now, the Trump-Pence administration is pushing three nationwide policies that would immediately threaten people's access to care if they take effect. Banning insurance companies from covering abortion. Letting bosses deny employees birth control coverage. Here's what troubles me most: There's very little Congress can do in the short run to stop these attacks. Together, we need to show the administration it's not in their interest to deny people access to health care. And should they ignore us, we need the resources to make sure people continue receiving the care they need, no matter how long it takes to undo the Trump-Pence administration's attacks. Every morning I wake up anxious. What will the headlines say about whether Planned Parenthood patients can get birth control, cancer screenings, abortion care, or other services they need? What new threat to Planned Parenthood patients and our mission will we face today? Will the devastating policies we've seen take effect in some states suddenly become the law of the land? 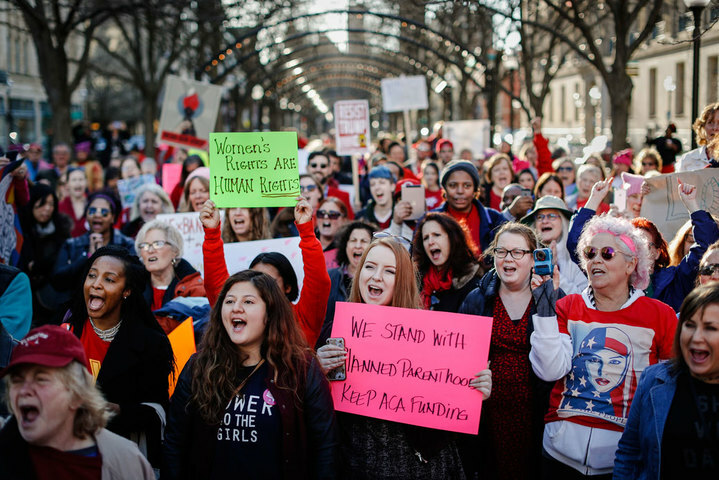 Look no further than Arkansas to see how extreme lawmakers are using states as testing grounds for abortion bans — and the kind of restrictive laws President Trump wants to see nationwide. After Arkansas banned the use of medication abortion, Planned Parenthood patients could no longer access safe and legal health care in their state. "We had to turn away from the clinic people who were scheduled to take the pill," said Dr. Stephanie Ho, a Planned Parenthood physician in Arkansas. "It's incredibly disheartening to call a patient and say, 'You qualified for this last week but your government says that's a decision you no longer get to make.'" The Trump-Pence administration would like nothing more than to make this the reality for patients everywhere. But day in, day out — no matter what — we're doing everything in our power to make sure patients get the care they need. When so many people in power are against you, you need a community 10x as strong to fight back and win. We've had that now for so many years, and I can't thank you enough for defending access to health care time and time again. The threats may be changing, but they're still there, waiting for us to let up. Your support can be a bulwark against so many people who want to see health center doors close and patients get turned away.